This is not the most impressive of holy wells. 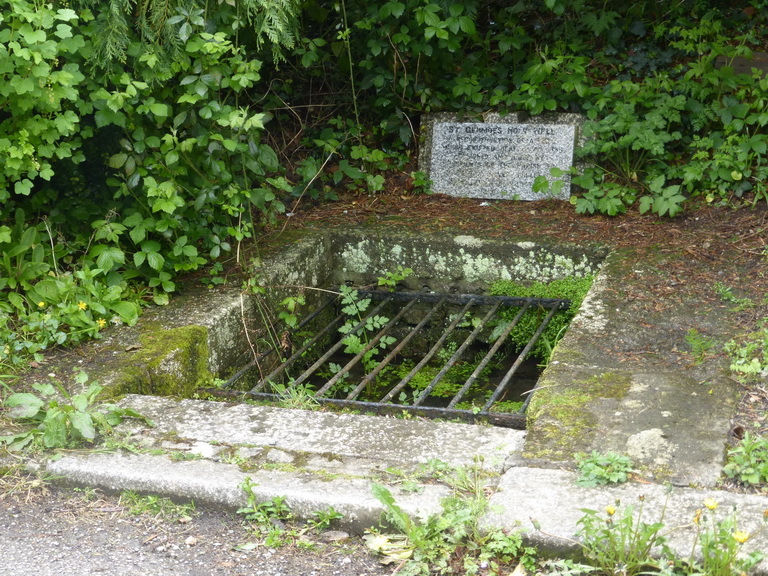 Situated very close to the road and within reach of a small stream, it has something of the air of municipal drain. Its panel is illegible. But let us not be disparaging. This is where the saint preached. It was not his fault that the path to his well was turned into a modern road and covered with a metal grill.